According to the National Safety Council, there were 5,987 pedestrian deaths in the United States in 2016, the most recent year for which data is available. This was the highest number of pedestrian fatalities since 1990, and there was an increase of nine percent in pedestrian deaths from the previous year. 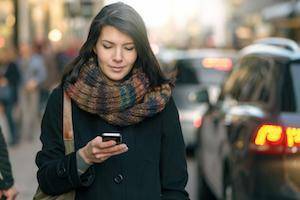 This increase may be attributable to the prevalence of cell phone use, so pedestrians should be aware of the dangers that come with distracted walking. Parking lots, sidewalks, intersections, and roads all pose a potential threat to pedestrians, and people can protect themselves by paying close attention to the vehicles around them and avoiding distractions, including refraining from wearing headphones or texting while walking. A moment’s distraction can mean the difference between life and death when someone is using the road. Many pedestrian accidents can be prevented by paying closer attention to vehicles, pedestrians, and road conditions. However, even people who are careful can be injured through no fault of their own. If you or a loved one has been injured in a pedestrian accident, you need effective legal representation to help you recover compensation for your damages. At Flaherty Law, we can provide you with the legal resources that you need to obtain the best case results. To schedule a free initial consultation, please contact a Plainfield personal injury lawyer at 815-577-7500 to discuss your case.